Ornate tall gate design is excellent value for money. Adds an eye catching focal point to any setting. 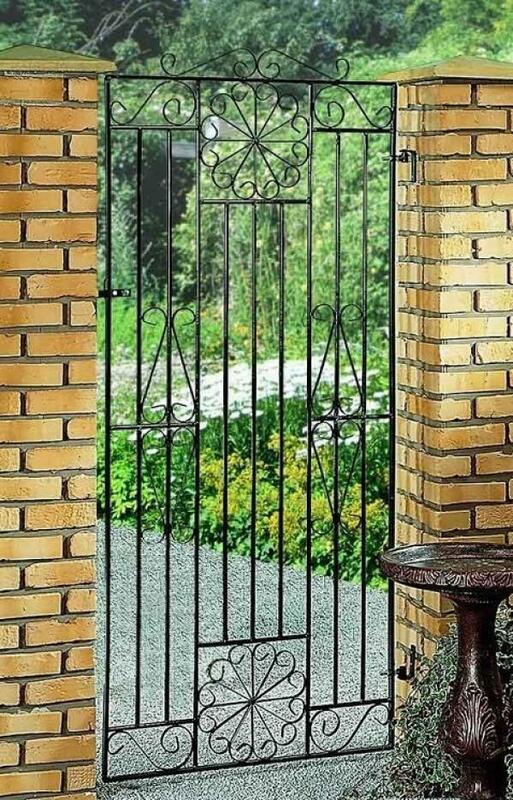 Available to order in a selection of widths the Regency tall metal side gate will add an eye catching focal point to your property at an affordable price. Manufactured from solid steel components, the numerous decorative elements create a unique appearance that is sure to impress even the most selective of homeowner. 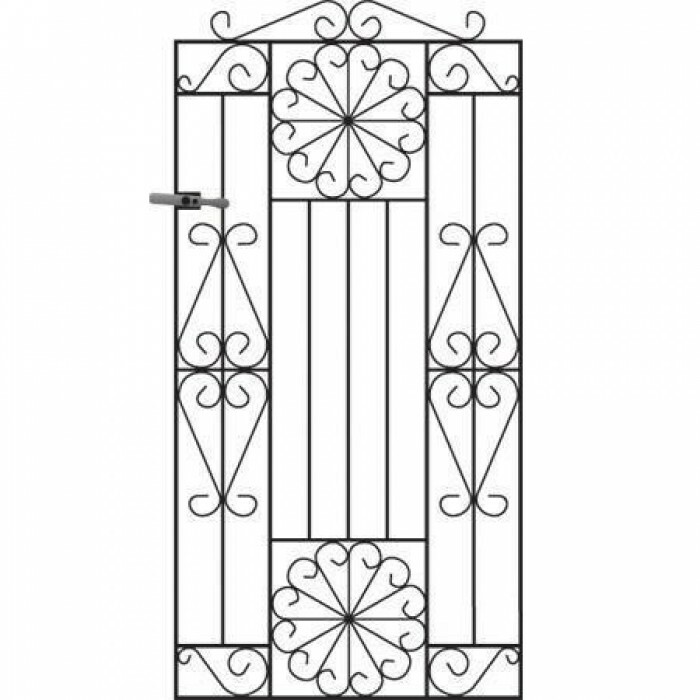 The Regency metal side gate has an eye catching design. Built using 20mm x 8mm steel frames, 10mm infill bars and 10mm x 3mm scrollwork. Gates are supplied with adjustable hinges and a universal latch (can be secured with a padlock). Regency garden gates come in black primer ready for painting before you install them. Looking for more information on the Regency side entrance gate? 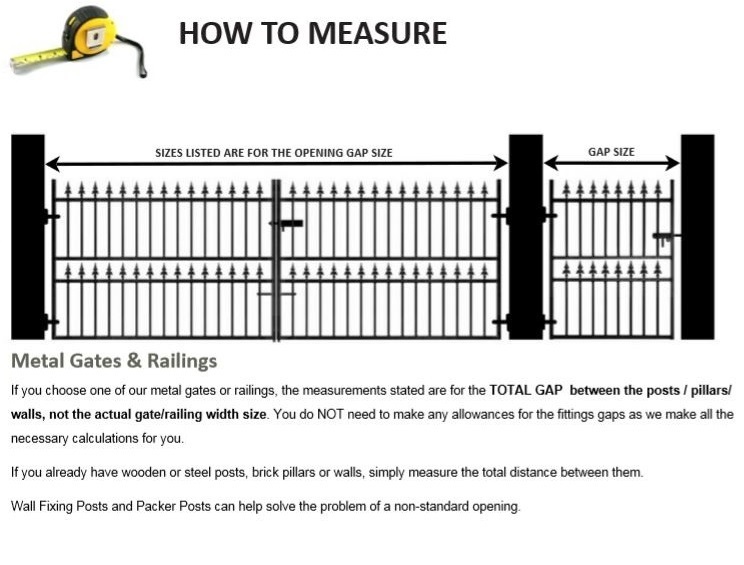 Take advantage of our easy to understand measuring guide, read the FAQ`s or contact us now by phone or email. 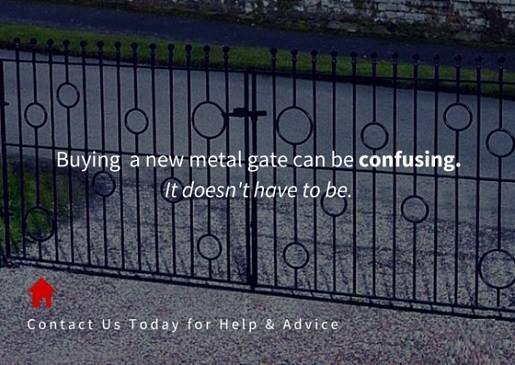 We offer a range of additional items and finishes to complement this timeless side gate. Where required we can offer the following extras.